→ Register Now & Receive Our Newsletter Every Week In Your Inbox! 1) with or through skill, cunning, talent, advanced technique, artifice or precise craft and skill. 2) with or through complexity. 4) nor plausible or possible. Manjik is a grammatical misconfiguration for the word magic – a colloquial term used by black South Africans to speak of the majestic, the beyond, a space where mysticism is not associated with fear. 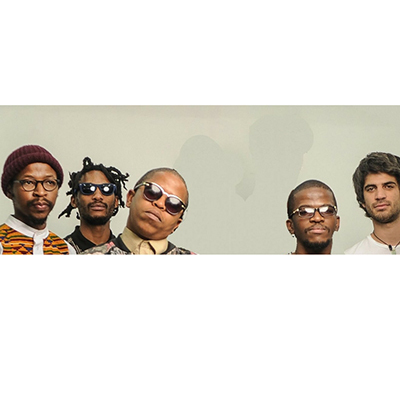 Manjik personnel are prolific bandleaders in Johannesburg’s live music scene, and international touring musicians who form the South African contingent of UK bandleader’s Shabaka and the Ancestors.